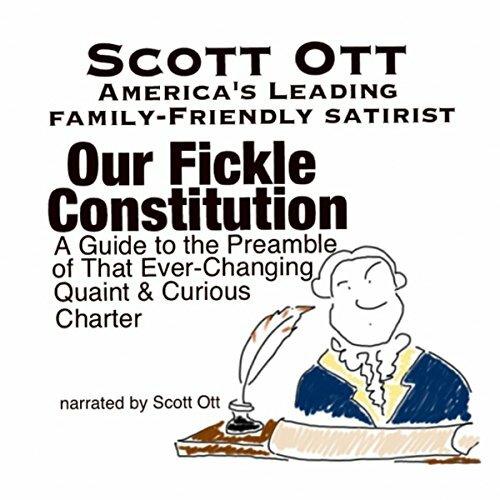 Showing results by author "Scott Ott"
Scott Ott, American's leading family-friendly Conservative satirist, brings you the Preamble to the Constitution as understood by our friends on the Progressive Left. He takes the Preamble phrase-by-phrase, explaining what it means, what it used to mean, and what it really, truly could mean in a land where dreams come true. This mini-audiobook takes you inside the head of a left-wing Constitutional scholar, where there's plenty of room to move around and rearrange things. Rush Limbaugh, Glenn Beck, Mark Levin and many others have praised Scott Ott's "fake but true" news satire, which he wrote at ScrappleFace.com for eight years.